Known by the name of the psychological experiment that fostered his emotionless brutality, Skinner founded his career in 'asset protection' on fear. To touch anyone under Skinner's protection was to invite destruction. A savagely effective methodology, until Skinner's CIA handlers began to fear him as much as his enemies did and banished him to the hinterlands of the intelligence community. Now, a cyber-terrorist attack on the US power grid is about to end that long exile. His asset is Jae, a roboticist with a gift for seeing the underlying systems violently shaping a new era of global guerrilla warfare. At the root of is all is a young boy, the innocent seed of a plot grown in the slums of Mumbai. Brought to flower, that plot will tip the balance of world power in a perilous new direction. 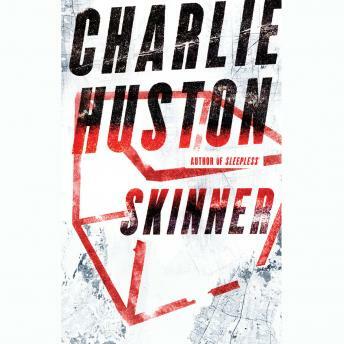 A combination of Le Carre spycraft with Stephenson techno-philosophy from the novelist hailed by the Washington Post as 'the voice of twenty-first century crime fiction,' SKINNER is Charlie Huston's masterpiece - a new kind of thriller for a new kind of world.